Eve has one focus, war. 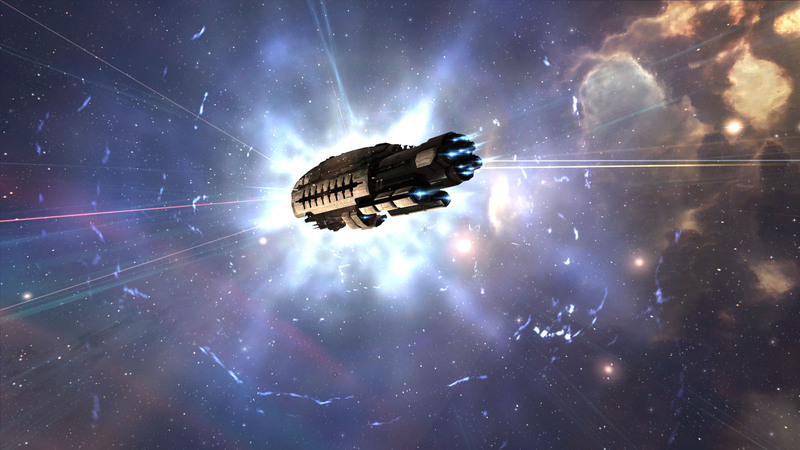 Everything in Eve revolves around it, particularly the economy. ISK is both forever elusive and at the same time so easy to find. Many (myself partially included) find PvE boring and repetitive. However, at the exact same time I am enthralled in the game’s rich lore and find myself constantly eager for new adventures provided by the game itself, a more static experience of Eve. 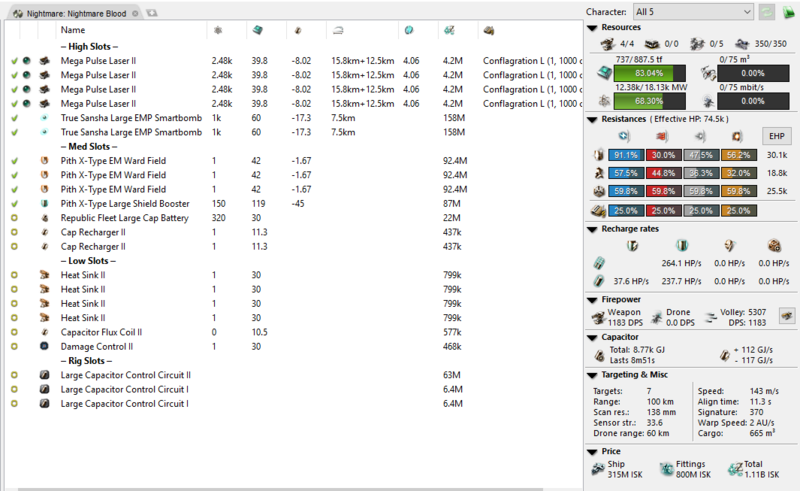 I have made it my mission to find interesting content within Eve’s PvE experience, flying intriguing ships and discovering how to make the most ISK with the least tedium. In this guide I will provide my new and current favourite way to earn large amounts of ISK in a short time period. Relatively tedious, highly repetitive, highly active, high payout – smartbomb ratting. I have made a cheap budget fit close to the bottom for those who are really reaching for higher end ISK currently (though the rest of the article is still worth reading!). When I first started without a faction fit or implants I was raking in on average 340 mil/hour, with a minimum of 280 mil/hour. 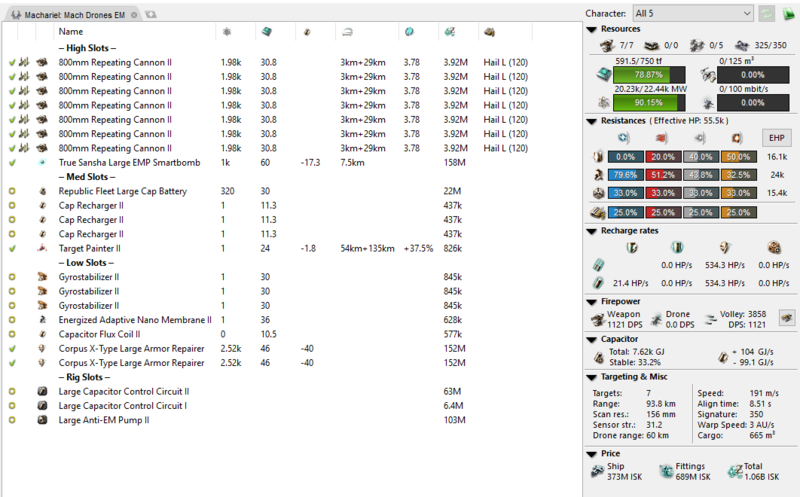 Since getting faction upgrades and full implant sets I now achieve an average of 430 mil/hour with a minimum of 360 mil/hour, though my best hour ever was at 1.1 bil! I sell all my escalations for around the ~120 mil mark each, and I am running against Guristas which are the second worst faction to use this strategy against. Whenever I read a Reddit question asking about smartbomb ratting there are always a couple of people who understand it and many more who give wild misinformation. 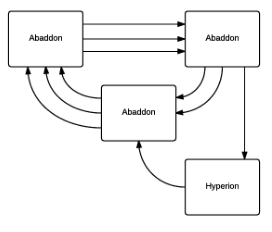 In addition to this, I see many deaths on ZKill from players smartbombing themselves which could easily be avoided with a little care or better fits by those who wished to try the method for themselves. 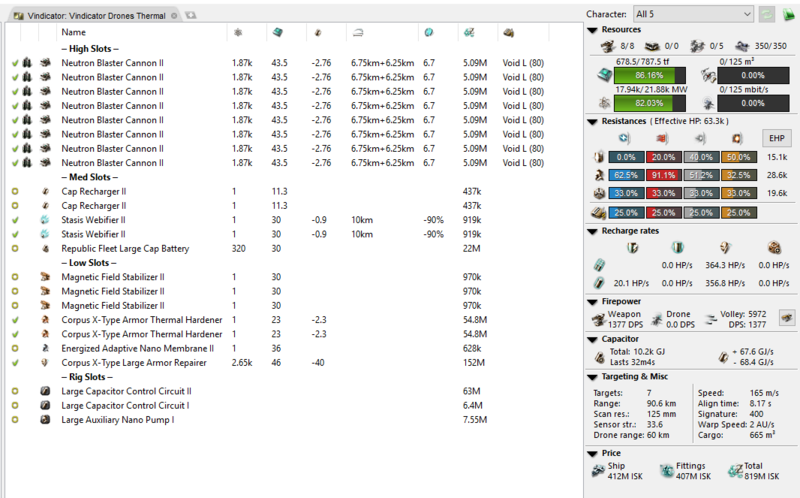 A full faction set up with implants will set you back 16+ bil (but it is worth it as the increase in ISK generation will quickly pay off your investment). The generally accepted and easiest layout is to have three battleships running smartbombs and a fourth equipped with medium or short range guns and webs who takes the role of a catcher (some always escape the smartbombs). A very important starting point is realizing which damage type you should deal, as it will greatly change your skill requirements and/or your catcher’s ship. Starting with the smartbomb pilots skills, they do not need many and it is a surprisingly quick thing to train into. This is equivalent to roughly 900,000 SP or two skill injectors for a newly created character. With standard skills and no optimisation it would be a 21 day train, however by training cybernetics first (getting a set of Genolutions) and then it could be as little as a 16 day train. In addition, with the introduction of Alpha clones it is possible to use these ships to a decent degree with a little effort after following the steps below. 1. Train up your Alpha clone to the highest level in all relevant skills. 2. Buy a PLEX or pay for an active subscription. 3 .Train the remaining skills for the ship (excluding the additional fitting skills above the Alpha clone status). 4. Get a full set of Genolution implants and swap at least one of the Capacitor Flux Coil II’s for a ‘Page’ Capacitor Flux Coil I. 5. Never dock up once your omega status has run out. “Q: Are there restrictions on simultaneous log on for Alpha Clones? Shield skills are optional but not required for this set up, it does however require Weapon Upgrades V or a Genolution CA-2 implant. (You’ll want to save hardwirings for cap implants and the SB implant for extra safety and damage). 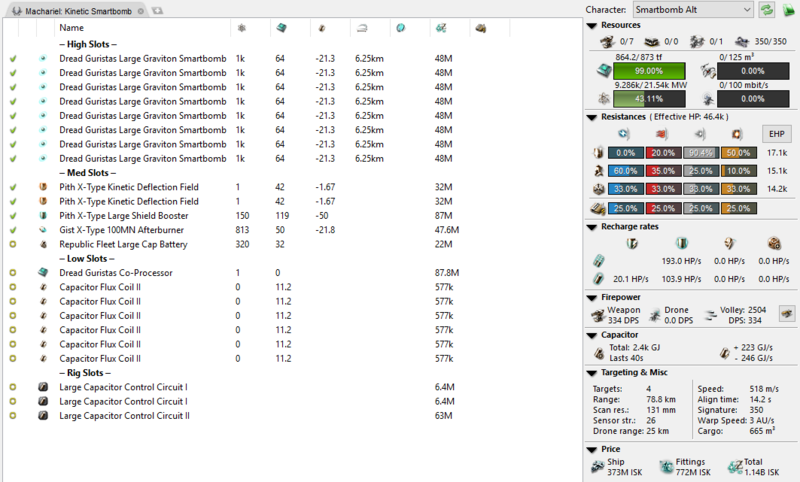 I personally run this with a full set of Genos (for more capacitor regeneration) and EO-605 (Capacitor recharge time bonus), EP-705 (Smartbomb cycle time bonus) and EM-805 (Capacitor capacity bonus) though these are not necessary. The ship you will be flying is the Machariel for three reasons. 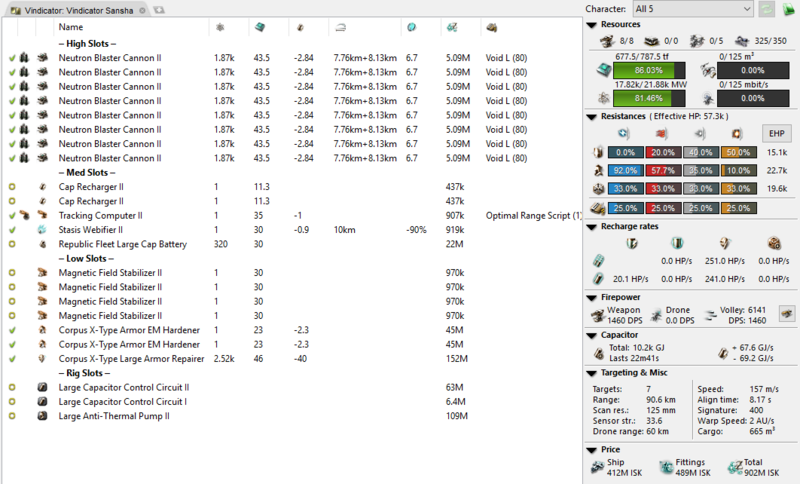 Change the smartbombs for your damage type as well as your tanking modules to match. The kinetic ones are the cheapest, but it is impossible to swap the faction smartbombs for a lower meta smartbomb due to capacitor issues. Use the table below to find the optimum ship and smartbomb damage type for your set up. Now for the catcher ships. Generally there are three that you can use, but others may outperform ones I have listed, such as any Marauder (without Bastion or at least careful management so that you aren’t slowed down) because of their ability to fit extra smartbombs on top of their weapons. 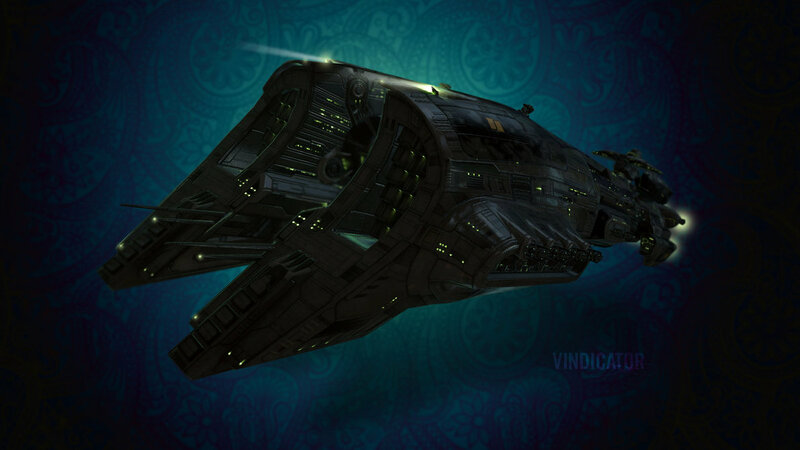 Of course, all ships can and should be upgraded with faction for maximum payout! All of these ships (non-faction fit) cost between 765 mil (Mach) and 1.15 Bil (Nightmare). On top of any faction upgrades you should also consider upgrading your pod, typically the best choice is Geno’s with EO-60X (capacitor recharge time bonus), MR-70X (tracking speed bonus) or TA-70X (weapon falloff bonus) if you’re in a Machariel, EM-80X (capacitor capacity bonus), RF-90X (rate of fire bonus for more DPS), and the 10X implant (under the gunnery section, this is a raw damage increase for large turrets of the specific type) depending on your ship’s turret type. With these ships set up you are ready to go. You exclusively do rock Havens (has a big rock in it which can only be checked by going into the site itself) with this set-up for multiple reasons, though gas cloud havens are possible but just not worth the time bothering. 1. Get every ship in fleet together (preferably with your catcher as leader) and activate your tank on every ship. 4. If it is a rock Haven select the “pirate gate” object on every character screen before you finish landing. If it’s not a rock haven, bounce. 7. Start locking up targets in the first wave that appears with your catcher and shoot them. 8. On your catcher you should take the time to press stop when he slowly reaches the gate. 10. Optional: Stop smartbombs, drop an MTU and bookmark it (always check faction spawns if you don’t want to do this step though). 11. Once the site is finished warp to another, rinse and repeat. 12. This part is very important, when you have finished running sites or when a neutral enters system. Warp to a friendly POS, not a citadel or a station. This is because you will be a sitting duck whilst you are waiting for your weapons timer to run down and you will not be able to dock or tether. Note: If you orbit any NPC dreadnoughts that spawn you can tank it quite easily whilst waiting for others to show up, just manage your cap well enough so that your tank doesn’t turn off from the neuts which it shouldn’t do particularly with implants. There really isn’t much more to it. Have fun making ISK. 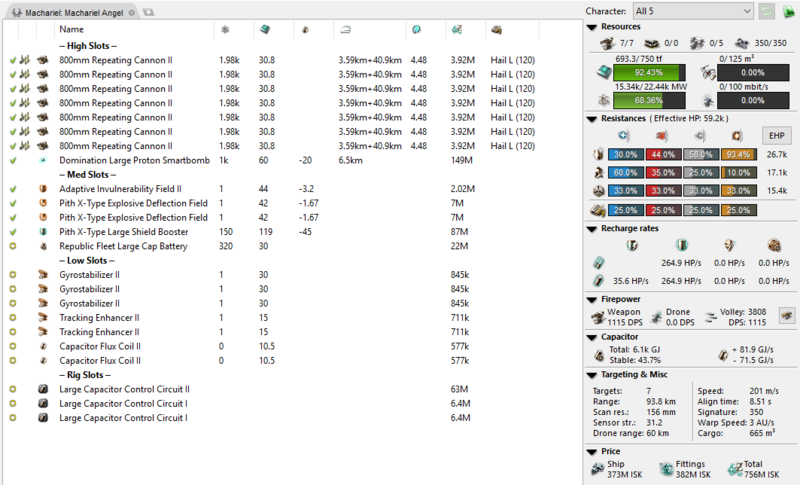 I have attempted to create a cheap T1 version of this for newer players or those with less ISK, but be aware that ultimately the damage is low to the point that the the smartbombs will be unlikely to kill ships themselves, instead the catcher would be the primary DPS source and the smartbombs would merely kill the frigates and help soften up other targets. The problems I encountered were the lack of tank, higher capacitor requirements from non-faction bombs and fitting issues with CPU when using T2 modules. The process would remain the same for all ships, though it may be worth fitting sentries into the ships (and turning off the smartbombs to use them) to kill ships that get too far out of range for the Hyperion. The total cost of this set up would be 1.2 Bil. Remember that you can buy cheap implants and hardwirings that can make a big difference! If you have any questions or comments please leave them in the comment box below! All prices listed in the article were true at the time of writing. Snuffed Out’s biggest carebear with healing hands.